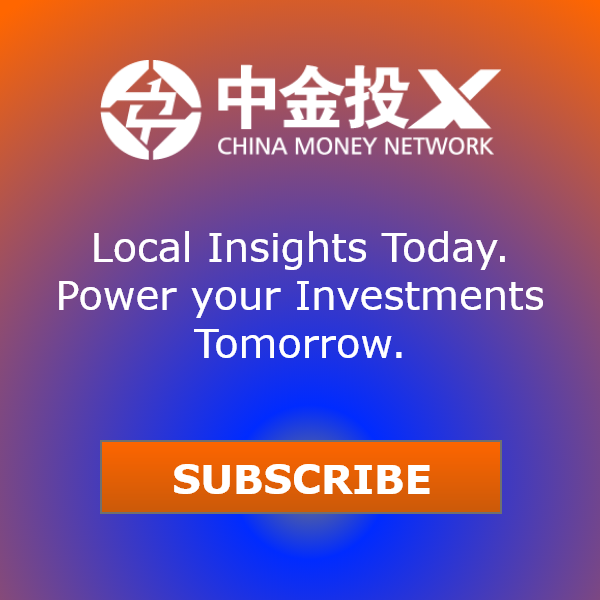 Listen: "Jonathan Larsen Explains How Chinese Insurance Giant Ping An Wants To Invest $1B In Global Tech Start-Ups"
For Jonathan Larsen, an 18-year Citi veteran, joining China’s Ping An Insurance (Group) Co. was like an army general being asked to lead a small, elite squad. As Global Head of Retail Banking and Mortgages at Citi, Larsen oversaw a global team of 80,000 employees. But when he joined Ping An this May as Chief Innovation Officer and CEO of the US$1 billion Ping An Global Voyager Fund, the team was just him and his assistant on his first day. But his responsibilities and opportunities are possibly greater than ever. As CEO of Ping An’s new Global Voyager Fund, Larsen is leading a growing team of professionals to deploy US$1 billion to companies globally to help the Chinese insurance giant’s drive toward becoming an innovative conglomerate. On top of that, as chief innovation officer of the whole group, Larsen works with the senior management team to make sure that Ping An comes out as a leader of innovation ahead of its competitors in the mid- to long-term. "Its a welcome change and it’s very energizing to come to a new domain with very different mission and agenda. 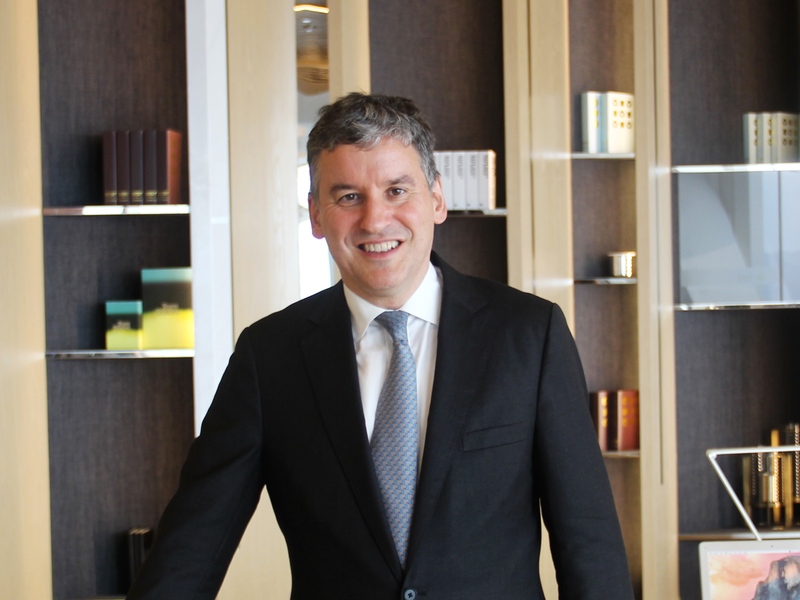 Even though the scope of people management is different, the nature of the roles are actually complimentary," Larsen told China Money Network at Ping An’s Hong Kong office at the International Finance Center. Ping An, the country’s largest insurer by market value, launched its first overseas fund – the Global Voyager Fund – to primarily invest in fintech and healthcare technology globally, with US$1 billion to be allocated by the parent group. The fund has an ambitious objective: to fully invest the US$1 billion in the next three to four years in companies that will "move the needle" for Ping An’s innovation objectives. "The Global Voyager Fund is one of many levers for driving innovation within Ping An," says Larsen. "It’s about making investments in companies that have distinctive technologies, platforms and models that could achieve success and have strategic relevance for Ping An’s existing and new business." For fintech, Larsen says that he is most concerned with three parameters when considering a potential investment: the technology, how that technology is likely to unlock value, and what is the synergy between the technology and Ping An. A positive investment needs to click all three boxes. Personal and business lending platforms, business model innovations and insurance tech space are some of the areas that Ping An is particularly interested in, Larsen says. In September, Ping An Global Voyager Fund made its first investment in European fintech company, 10x Future Technologies, a fintech company founded by former Barclays CEO Antony Jenkins. The company focuses on providing holistic technology solutions to banks that allow them to keep their APIs and data in one place. Such a platform could be integrated in Ping An’s own bank and its Ping An Financial OneConnect, a platform under Ping An tasked with exporting the fintech capacity of the group to other financial institutions. In healthcare, Ping An has paid attention to the use of artificial intelligence (AI) for diagnostics, helping physicians shape treatment paths, as well as the use of wearables, and mobile technology for adherence monitoring and follow-up consultations. 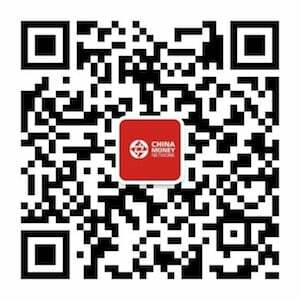 Ping An, of course, has a healthcare insurance business in China and also owns Good Doctor, a personal health mobile app with 500,000 daily active users. Any investments in these areas would likely have an attractive strategic component for Ping An, Larsen says. Q: You joined Ping An in May as chief innovation officer and also the CEO of the US$1 billion Ping An Global Voyager Fund. What’s the biggest change from your past retail banking role at Citi? A: During the last four and half years, I have been running the global retail banking group at Citi. From front to back, I had about 80,000 people working for me one way or another, so it’s a big change to come to a small team (at Ping An). In fact, I had (only) my assistant and me for the first day. But of course, Ping An is a huge group itself with 325,000 staff and 1.2 million life insurance agents, but our fund is new as we are starting from scratch and building up our team. Its a welcome change and it’s very energizing to come to a new domain with very different mission and agenda. Even though the scope of people management is different, the nature of the roles are actually complimentary as I was in touch with new fintech technologies at Citi already. Q: You have two roles at Ping An, as chief innovation officer and CEO of the Global Voyager Fund. How do they overlap or differentiate? A: As chief innovation officer for Ping An overall, I’m here to help the group to continue to innovate and to find new technology, new platforms and new approaches that can be integrated into their businesses. That include companies in China and internationally. The Global Voyager Fund is one of many levers for driving innovation within Ping An. It’s about making investments in companies that have distinctive technologies, platforms and models that could achieve success and have strategic relevance for Ping An’s existing and new business. Q: Is this a corporate venture fund? A: It is a corporate venture fund and our objective is strategic. Via a minority investment in a company we want to achieve some form of partnership that’s going to be helpful to our businesses. Q: When you say the Ping An Global Voyager Fund is one of many levers for driving innovation, how would you describe the coordination among all those levers? A: Ping An has dozens of business lines and each runs with high level of autonomy, coupled with a disciplined KPI system. It’s the most disciplined KPI system I have ever seen in my career, actually, a very detailed and very vigorous system to drive what they need to deliver. Q: Give us an example. 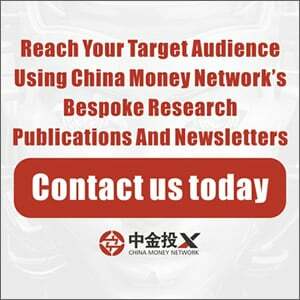 For Ping An Global Voyager Fund, what’s your KPI? A: That’s an interesting thing, I think I am the only person in the company apart from the chairman that doesn’t have KPI. My agenda is much more open. But the important part is that innovation comes from bottom up and from within, it comes from strategic partnerships, it’s from ideas we generate from group level that can be injected into the businesses, and also the partnership we are creating through the voyage fund. Q: When the fund was established, did it require government approval as it’s an offshore investment platform? A: It’s entirely Ping An’s capital, and we’re actively investing as we speak. 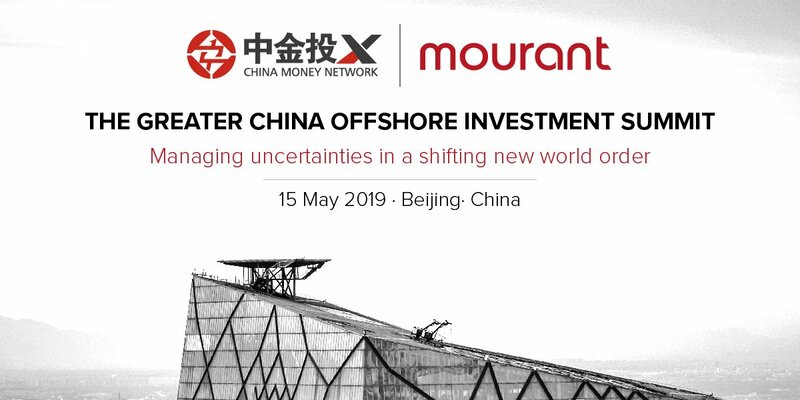 The fund is using capital Ping An already has overseas, so it’s completely compliant with the foreign exchange requirements and any other approvals that are required for deploying capital internationally. Q: Let’s talk about one of the fund’s focus area, fintech. What are some specific areas in this sector that you’re most optimistic about? A: Typically, we apply three lenses: Where is the innovation; where is that innovation likely to unlock real value; and what is it going to give the most leverage and be most relevant to Ping An? There could be areas that look like a really good opportunity internationally, but maybe less relevant in China. For example, in the International remittances area, obviously China has currency controls and not all of the remittance products that we see in the U.S., Europe or U.K., could simply be applied in a direct way. So that limits opportunities (and won’t be very relevant to us). Q: Could you give us a couple of examples of companies that fit all those criteria you just described? A: I’ll tell you about the first deal that we’ve just announced, which is an investment in a company called 10x Future Technologies that was set up two years ago by Anthony Jenkins, who is the former CEO of Barclays and has 30 years experience in retail banking and credit cards. The company aims to help banks build contemporary tools, APIs and data lake construction that allows structured and unstructured data to be kept in one place. It solves the problems faced by large-scale banks, which have many layers of legacy technology components that are very expensive and complicated. Q: What is the strategic part of this investment? A: Well, Ping An has its own bank and we also have a very interesting business called Ping An OneConnect, which is a business that tries to leverage Ping An’s capabilities and make them available to other players within the China market, with 200 banks joining. So Ping An could take the 10X platform and make that part our core component. Q: How many companies have you talked to so far for investment purposes? A: It’s about 250 so far in the past five months. 10X is our first investment and we have a very robust pipeline. Our focus is global and our primary purpose is to look outside China to find leading platforms that we can then bring to China. We’re very interested in personal and business lending platform, model innovations and the whole insure tech space. We think that insurance is definitely going to experience fundamental changes in delivery technology over the next three to five years. For example, when you leave the country, your phone knows and trigger travel insurance as needed. Also, low price-point insurance, theft insurance personal accident insurance and travel insurance could also be applied with innovative delivery technology. Q: Let’s move on to healthcare, what specific areas in this market are you focusing on? A: Ping An has its own health insurance business in China, we also own Good Doctor, which is the largest tele-medicine platform in the world with 140 million users and 500,000 daily active users. We’re very active in working with municipalities in China in the government health insurance space. We also have a clinic enterprise business that supports about 30% of the clinics in China around the world. We’re seeing a lot of very interesting innovation, the use of artificial intelligence (AI) for diagnostic triage, for helping the physicians shape the treatment path, the use of wearables, and the use of mobile technology for adherence monitoring, or for follow-up consultation. Imaging is also very interesting. The technology still has some way to go, but it’s at the point where it’s investable and very close to being commercializable on the large scale. Q: For companies like Good Doctor, what’s your thinking on if there is a way to actually monetize this type of apps? A: I think there are many channels for delivering revenue. For example, a British tele-medicine platform is actually used as part of the government health insurance program, where it actually is reimbursable by the government health insurance platform. Also, the New Zealand government right now is using a U.S.-based company called healthTap to build tele-medicine as part of its national health delivery strategy. We see models in the U.S. where platforms such as Good Doctor are able to charge directly for patients and are able to recover costs, or the patients are able to recover costs through private health insurance. There are product sales that can go with consultations for a user base large enough, and obviously there are advertising opportunities and so forth. Q: What’s the most important criteria when you make investments, is it the technology or the synergy with Ping An? A: Of course we want to deploy money efficiently and get a fair return but the overriding rationale is strategic relevance. Generally we’re not interested in very early-stage companies as a direct investment opportunity. Typically we want to see companies that are three to seven, or three to ten years old, we want them to have a product, client base and a revenue base however small, or the ability for future profitability, as well as being stable with mature management that we think can really build a business. Q: Let’s talk about artificial intelligence, across all the different sectors, what are the most promising application of AI that you see right now ? A: Well, I think we’ve seen a lot of good applications in image recognition also we’ve made pretty good progress in facial recognition. 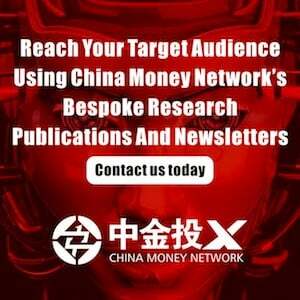 Ping An uses facial recognition for people logging into the online sites or getting a loan from us. We match your face against a government database of faces to eliminate identity fraud in combination with other variables. We’ve clearly seen decent advances in fraud analysis and credit analysis using AI techniques or machine learning techniques, as well as interactive voice replacing a lot of call center functionality. Q: Let’s talk about investing in non-Chinese companies as a Chinese investor, how do you think the recipients of Ping An’s capital perceive you? A: For Ping An, the astonishing part (for people unfamiliar with the company) is the width of its business, the far-reaching vision for both financial and healthcare sectors, and also how Ping An can be re-positioned as a technology company in the future in terms of how it uses data, machine learning and artificial intelligence. From my experience, our capital is extremely welcome. We approach companies to learn, to take advantage and to leverage the innovation they created. Q: Recently, China banned initial coin offerings and also the Chinese central bank is rumored to be preparing to issue their own cryptocurrency，what’s your view of cryptocurrency development in China? A: I think the whole crypto phenomenon is very interesting and I don’t like the idea that you can just make up your own currency and expect it to fly as a medium of exchange. I think the way that the global monetary system works today is that central banks are in charge of the supply of money and I can’t see any basis on which responsible central banks would be willing to give up that control. So that raises a separate question: Would it be possible to express central bank issued currencies in the form of an algorithmic currency? I think the answer is quite promising. If you think about it, today currency is virtualized already and there’s no physical instrument that transfers in many situations. I think that will be the future. 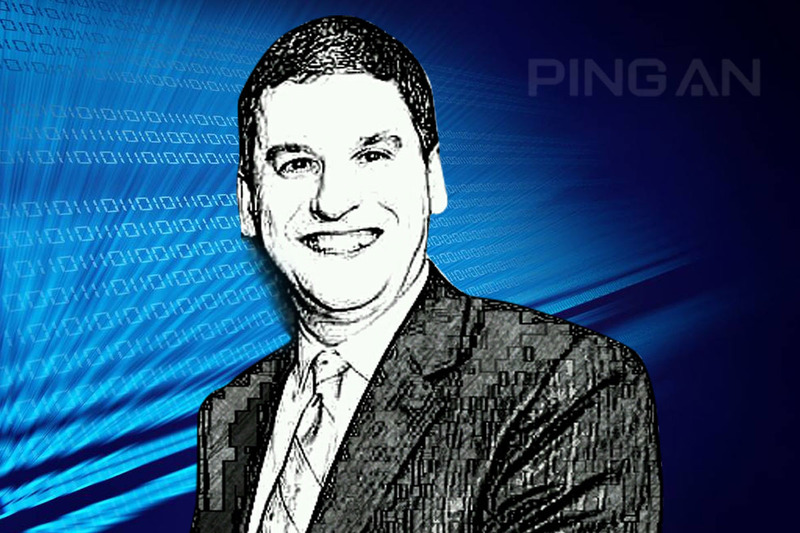 Jonathan Larsen joined Ping An Group this May as the company’s chief innovation officer and CEO of Ping An’s US$1 billion Global Voyager Fund. Prior to Ping An, Larsen worked at Citi for 18 years, last as the company’s global head of retail banking and mortgages.